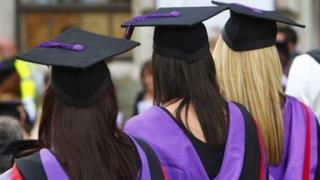 University leaders in the UK have written an open letter saying membership of the European Union is central to their efforts to "drive innovation and growth". The letter, signed by the president of Universities UK, says involvement in Europe is a positive benefit for higher education. It says that the UK is the largest beneficiary of EU research grants. The Open Europe think tank rejected this as a "weak argument". The intervention from the body representing UK universities highlights the importance of being involved in decision-making within the European Union. The letter sent to the Times newspaper was signed by Sir Christopher Snowden, president of Universities UK and vice-chancellor of the University of Surrey. It was signed by more than 20 other vice-chancellors who are on the board of Universities UK. "Without an influential voice in the development of EU policy, the UK would lose its ability to influence policy affecting research and higher education," says the letter. "The UK benefits directly from £1.2bn annually in European research funding and is the largest beneficiary of EU research funds to universities. "This supports UK-based research and transnational research projects which pool knowledge to solve social and economic challenges in a way that no country acting alone could do." This argument was rejected by the Open Europe think tank, which is against greater European integration. "While it is true that UK universities do well from EU funding, the wider context is that the UK is a major net contributor to the EU budget and only a small percentage of EU funds are spent on research and development," said research director Stephen Booth. "In that sense, the EU budget is hopelessly out of date and should be reformed to focus on helping Europe compete in an increasingly knowledge intensive global economy." But Mr Booth said the "free movement of people across the EU, which offers the ability to exchange ideas and recruit from a wide pool of talent, is clearly important to universities".